It takes a pretty notable announcement for a brewery to upstage its own 2nd anniversary. 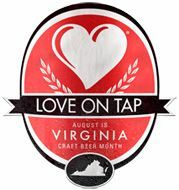 Or more likely, for Roanoke’s Big Lick Brewing, timing is everything. This Saturday (September 24), the brewery is indeed celebrating its 2nd anniversary, an event worthy of raising a pint on its own. Raise another then, because earlier this week, the brewery announced plans for its new location that will be several times larger than the current one, include indoor and outdoor seating, a stage for entertainment, and last but not least, let the brewery increase its brewing capacity from the 2bbl system it currently uses to a 10bbl one, while still retaining a 2bbl system for pilot batches. The brewery had long outgrown its current spot, making the expansion a welcome announcement. Most of its regular customers will likely tell you how Big Lick occasionally has to take a head count within its tasting room as not to exceed capacity, especially on days when a new release had come on tap. Such as it is with breweries when solid beers like their Gone KoCo coconut porter and their “This Time” IPA series have become as cared for among the area’s craft beer drinkers as they have. I imagine those same beers, as well as many others, had placed an expectation for such growth some time ago, as it did with me. Perhaps the most impressive thing shouldn’t be the expansion itself then, but how such an expectation developed over a relatively short period of time. Congrats on your 2nd anniversary, Big Lick Brewing, and many more to come in your well deserved new home. And check out info about their expansion here! ~ by thebeerroad on September 23, 2016.